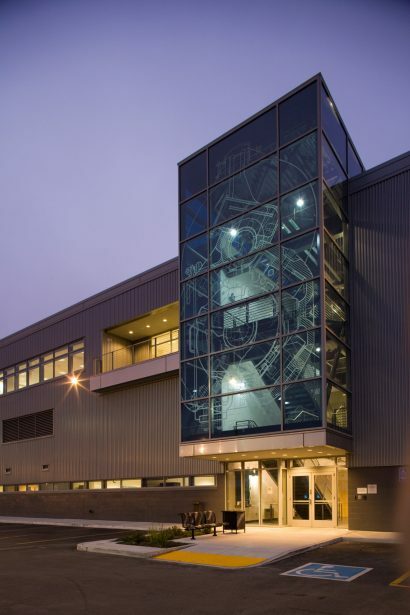 This new mixed use facility replaces the former Ground Transportation Unit (GTU) that had become outdated and obsolete. 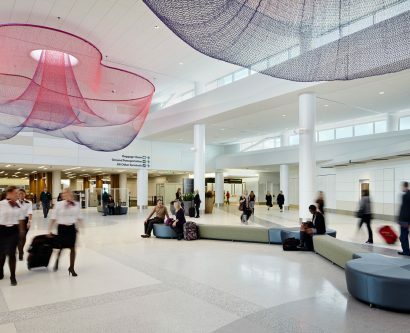 Working in conjunction with Paulett Taggart Architects, MWA was responsible for project management, programming, interior design, FF&E, and consultant coordination for MEP, special systems, and lighting design disciplines. 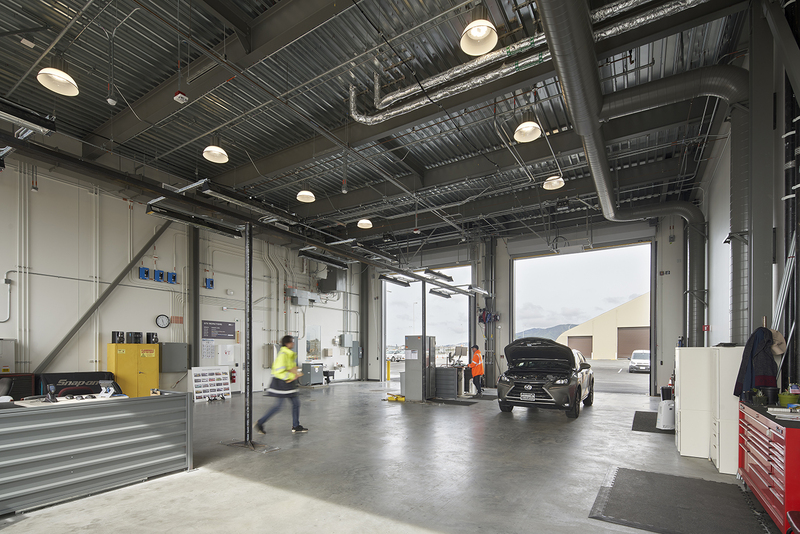 The GTU occupies its new site which includes vehicle fueling and washing facilities in a comfortable, energy efficient complex built to the San Francisco Airport’s exacting requirements. 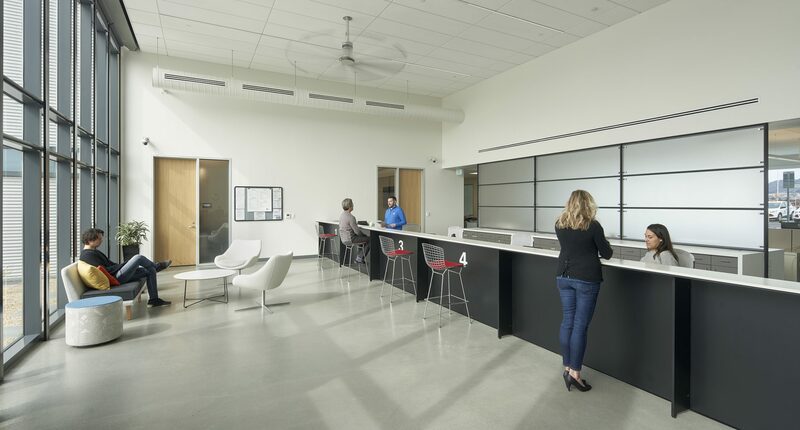 Within the building are a public lobby for the registration of vehicles, a radio shop and pull through inspection garage, as well as offices, breakrooms, and meeting spaces to serve the employees. 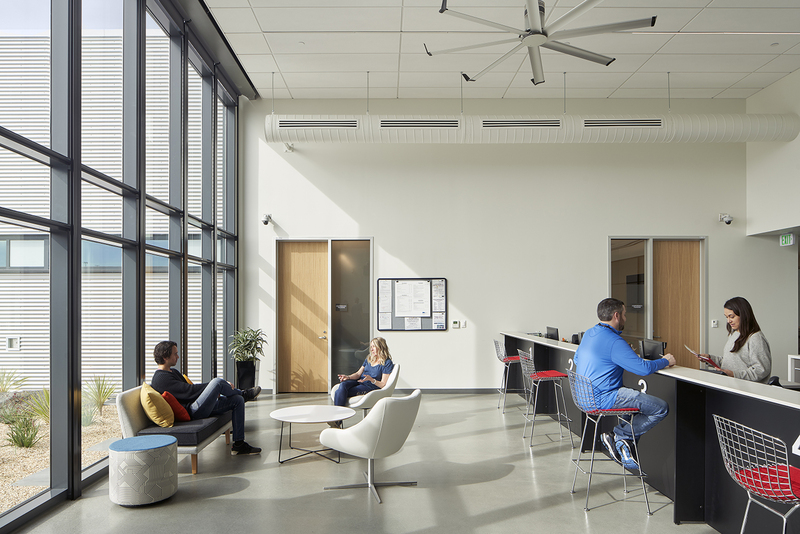 Taller than typical ceilings and efficient non-glare lighting increase the feeling of brightness and freedom in the office spaces. 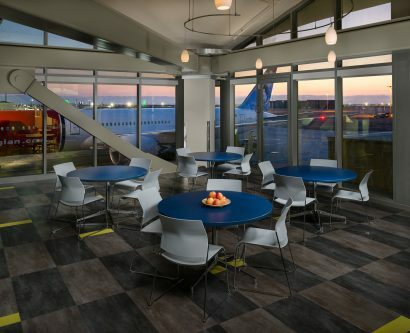 The industrial look of the exterior (metal siding, curtain wall, traffic striping) is suited to the scale of taxis and buses but contrasted with the brightly lit interiors and furnishings that are tuned to a human scale. 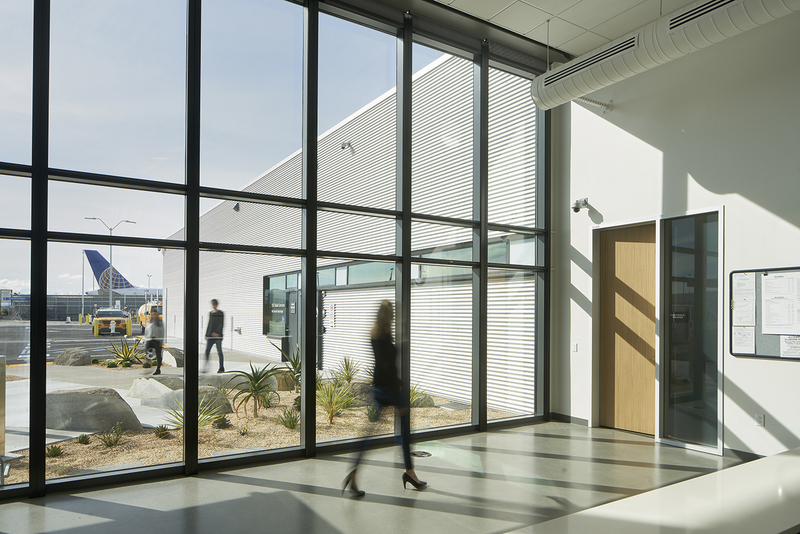 While all the functions are tied together with employee circulation, odors and vapors at the vehicle based spaces are extracted from the air, as well as separated by doorways, leaving the spaces fresh for all employees and the public. MWA Architects, Inc. is a certified Minority Business Enterprise (MBE): nationally certified by Western Regional Minority Supplier Development Council and by the California Public Utilities Supplier Clearinghouse. We are also a certified Local Business Enterprise (LBE) in Alameda County and City of Oakland, CA, and a Local Impact Area business with the Port of Oakland. 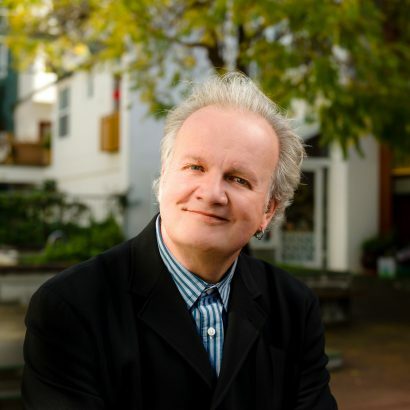 Copyright © 2019 MWA Architects, all rights reserved. Made by Needmore.